We have a National Pro Fastpitch softball team right in our area! 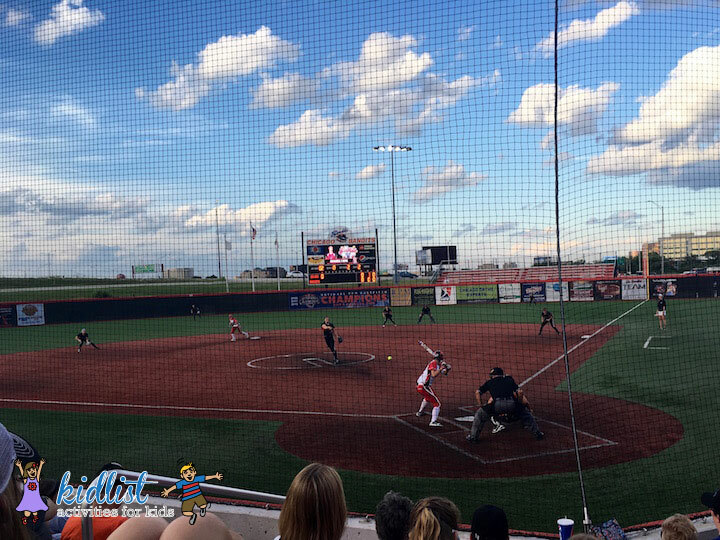 The Chicago Bandits are in Rosemont and these girls are really good… You can see the passion and skill they have for the game. The Bandits even won the National Championship last year. The stadium is no frills, but has concessions, an area with tables, and a seating area where there really isn’t a bad seat. I thought it was really awesome for my daughter to see women playing on a professional team. 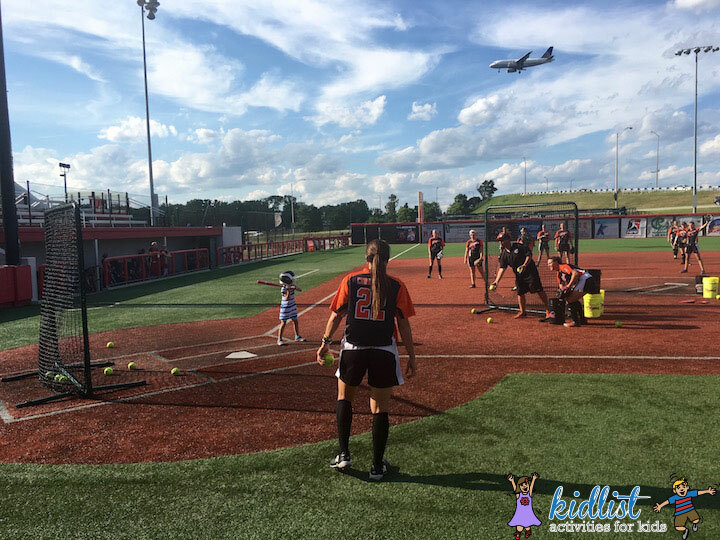 If you want to give your kids a special experience or they are really into softball, the Chicago Bandits offer Game Day Experiences, such as being a batgirl, participating in pregame catch on the field, batting practice, and throwing out the first pitch. Our kids had the opportunity to talk with the players and practice with them before the game. All of the players were so kind and treated them with respect, which made the game even more enjoyable to watch. If you choose to buy one of the experiences, please keep in mind that they do no allow the parents in the dugout to be with your children. I actually found out about the Chicago Bandits from Dr. Eric Jackson, a pediatric and family dentist in Downers Grove. He supports the team and has a contagious excitement for them. I am proud to have him as a Kidlist Sponsor, not just because of his great dental skills, but because of his service and involvement in the community. Dr. Jackson just returned from Mission of Mercy, offering free dental services in Collinsville, Illinois, and he also recently volunteered at the 2016 Homeless Veteran’s Standdown at the DuPage County Fairgrounds where he teamed up with other local dental professionals to provide quality, free dental care to American heroes. He has a heart for people and it shines through in his office when he cares for your family. If you are interested in learning more about what Dr. Jackson did at Mission of Mercy, he made two videos that you can view if you click here and here. So if you are looking for a family or pediatric dentist, I highly recommend going to Dr. Jackson at Oral Health Care Professionals on Ogden in Downers Grove. They also periodically host Tooth Fairy Day, which is a great way to introduce your young children to the dentist in a fun way. The next one is in September; click here to read about the event. This post brought to you by the Chicago Bandits and Dr. Eric Jackson. Be the first to comment on "Chicago Bandits National Pro Fastpitch Softball Team"